Hatch Detroit announced its final four business ideas giving each team a chance to speak and answer questions at a live event put on by Model D called The Next Big Thing. The event was amazing, you can read about my experience here, but the acoustics in the main lobby made it rather difficult to hear the answers. I’ve attempted to contact each of the finalists with a set of five “Spine” questions to learn just a little bit more about each of the ideas. Remember you can vote once per day until Wednesday, when voting ends. Click here to vote. Did you know that Detroit is becoming a hot bed of fashion, and desperately in need of a garment district dedicated to the support and encouragement of apparel businesses? Well it’s true, and the WORKROOM is hoping to take the first step! The goal of the WORKROOM is to establish a space that is more than just retail. The concept would emphasize fashion and apparel from the sample/product development phase, all the way through to the retail storefront. The WORKROOM could become a model for other independent design labels to use, as they improve upon the structure of their own businesses. Development of these types of label facilities builds toward distribution, which then leads to a demand for production needs. Those key factors create the district and push it to thrive. How will winning this contest help you achieve your business goals? Winning the contest will accelerate my goals in Fashion Business that I am already a part of. Workroom is a reflection of how I run my business and my life, so it was natural to submit WORKROOM as my concept. Between my brand, FLD and the other collaborative ventures I am involved in, whether helping my friends with advice or guidance on how to market their products, to even selling some pieces for them since I wear them all the time. In Fashion, there are endless possibilities, and with HATCH behind this contest, I am sure that the possibilities are endless with WORKROOM. What other Detroit establishment do you most look up to for advice and inspiration? I look to a few different places for both advice and inspiration. The Detroit Creative Corridor is a place I think lends such a tremendous contribution to the Economic Growth in Detroit, and the creatives that can benefit from their services and advice. For inspiration, I love going to my friends studios and taking in all the energy that thrives in their space. From Sarah and Angela in the Brooklyn Lofts of Corktown with WOUND Menswear and PeaceLoveSpandex, to the Russell Industrial Center, where my boys, Urban Pheasant Glass make their amazing pieces. I am inspired by the people in Detroit, creating and doing the exact same thing as I am. Expressing themselves through art, in any form. The artists here that are guided by the passion for their craft. Why should people choose your idea over the others? I feel that WORKROOM is not just a retail store. It is a creative space that offers retail, as well as sees a product through its development stages, marketing and sale. There is an industry that is offered to Detroit from the Fashion realm. A lot of forward thinking people are supporting local, and see the talent that exists here. WORKROOM is made to emphasize what is already going on around Detroit, but giving it a home where many people and professionals can benefit from what goes on there. Every department of WORKROOM offers jobs, products and benefits for its involvement. Even the YOUTH Department section, is to provide the younger generation in the city a chance to connect with the Creative Professionals here, and be guided in a positive life direction from their teens. WORKROOM is about Community, and everything that it involves. Commerce. Have you decided on a space? What neighborhood? And why? Our concept is targeted for Capitol Park in the Lower Woodward area of Downtown Detroit. This district is not only a historic landmark of the City (Michigan’s First State Capitol), but has once in its past thrived as a hub of transit, business and residential property in Detroit. Lately, the area has seen a rough road, but there are some amazing buildings there and vastly vacant, that would allow our Concept to inhabit, and also grow out from. WORKROOM is bringing an industry to Detroit, but the space available at Capitol Park would allow for a Garment District to establish in Detroit. What is your favorite Detroit hangout? Ahh, that’s a tough one. I have a dozen, definitely, but to name one Foran’s. Great brunch, bloody mary’s, Jameson, all of it. I love the people, the space, the location…and of course, Motor City Wine is right up stairs. Just saw Carl Craig play there and it was an unforgettable night. The funds and the professional services will expedite the realization of WORKROOM. 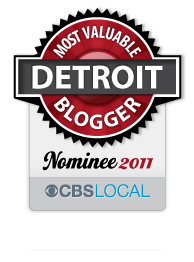 The DDP (Detroit Downtown Partnership)….as well as a few other entrepreneurs/friends in the area. This is really an opportunity to jump start a whole industry. Fotoula and I are on a panel discussion for a Garment Industry in Michigan. There is movement in progress. First hand, we can see the support and resources on a state level. This is not just a store to go shopping, this is a venue that offers service to shoppers and talented professionals alike. Capitol Park. Beyond its historic contribution, Capitol Park offers a central location for commerce and community. This entry was posted in Detroit, Fashion, Things To Do and tagged capital park, contest, detroit, fashion, hatch detroit, workroom. Bookmark the permalink.